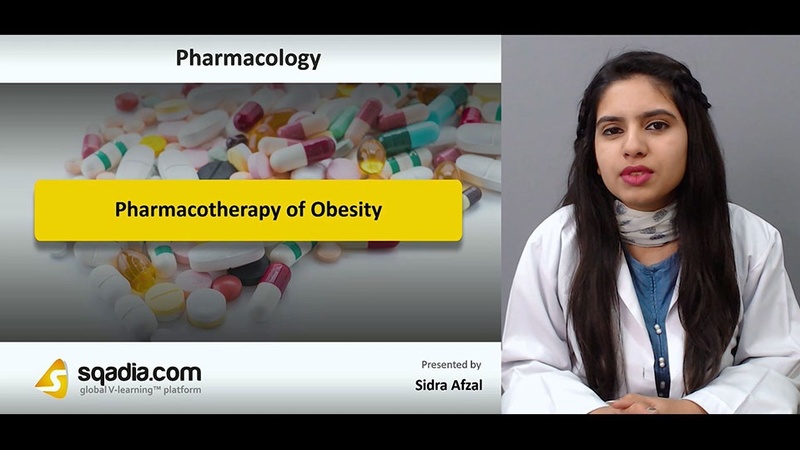 This lecture aims at elucidating the Pharmacotherapy of Obesity. Section one focuses on a condition Obesity. In the beginning, the educator has defined what this term Obesity is. This is followed by a description of WHO Classification of Body Weight. Next in line, the educator has talked about the significance of this classification as to why is there a Need of Classification. In addition to this, Medical Complications of Obesity and Metabolic Syndrome has been brought into consideration. The educator then moved on to explain the Available Treatment Options for Obesity along with Indications for Use of Obesity Drugs. 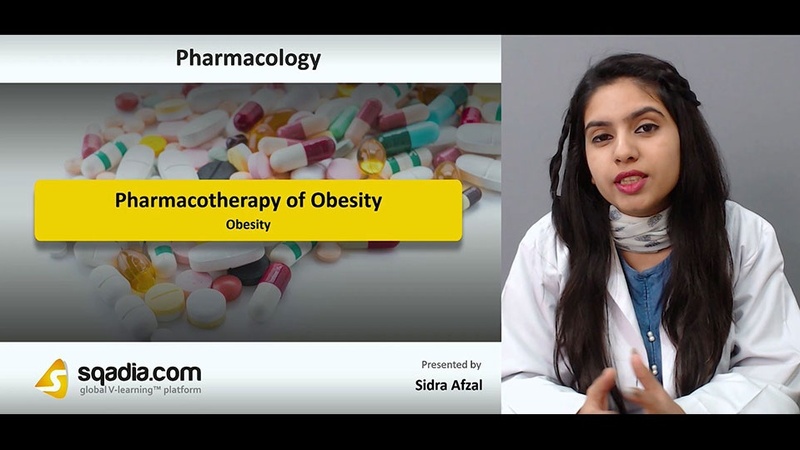 In the end, the educator has summed up by shedding light on the Pharmacotherapy. The prime objective of section two is to talk about the Peripherally Acting Agents. Firstly, the educator has well-defined what Peripherally Acting Agents essentially mean. Later on, a few of such agents have been brought into discussion. 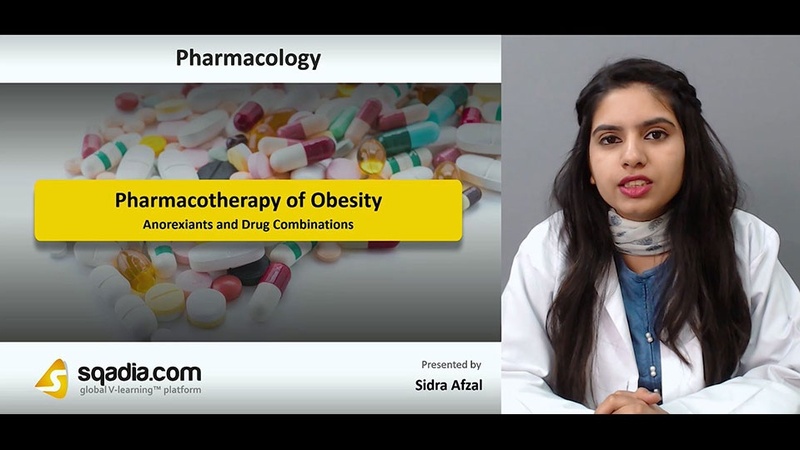 This is succeeded by a mention of Orlistat alongside Mechanism of Action of this drug. 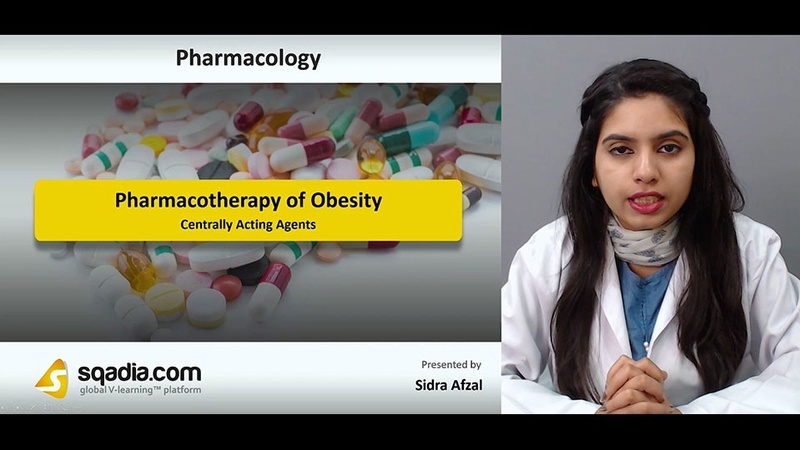 Moreover, Pharmacokinetics and its Clinical Use has also been highlighted. Furthermore, the educator has delineated the Contraindications and ADRs and spoken about the CB1 Antagonist as well. In the end, the curtains have been brought down when the educator converses about another drug called Pramlintide. Section three emphasizes on Centrally Acting Agents. Initially, the educator has reported Centrally Acting Agent Affecting followed subsequently by a discussion on the Role of Leptin. Besides this, Serotonin Reuptake Inhibitors and Sibutramine has been narrated as well. Afterwards, the educator moved on to expound its Clinical Use. Following this, ADRs and Contraindications, Tesofensine and Cannabinoid Receptor (CB1) Antagonists have also been presented. Conclusively, the educator settled this segment by a dialogue on another drug named Rimonabant. Section four accommodates Serotonin Receptor Agonist and Antagonists. The educator commenced by defining what Serotonin Receptor Agonist and Antagonist primarily is. Moving further, the educator has considered Lorcaserin and its Mechanism of Action. Furthermore, Pharmacokinetics and its Adverse Effects have also been brought into deliberation. Alongside this, Fenfluramine, Dexfenfluramine has been put forward. In the end, the educator winded up by stating about Phentermine. The focal point of section five is Anorexiants and Drug Combinations. In the start, the educator designated about Anorexiants and their Mechanism of Action. Additionally, its Pharmacokinetics and Adverse Effects have been broadly elucidated. In combination treatment, Phentermine – Topiramate and Bupropion – Naltrexone has been well-discussed. The educator then wrapped up on the reference of Bupropion - Zonisamide therapy.